Our clients are talking about a “nutrition facts” video that claims to debunk fish oil supplements [https://nutritionfacts.org/video/omega-3s-and-the-eskimo-fish-tale], so I had to take a look. My impression: Thumbs Down. That’s my polite way of rating what looks like a piece of anti-supplement propaganda. Don’t get me wrong, I’m all for a careful and thorough analysis of the methodology and conclusions drawn from published research studies. So let’s dig deeper here. Vitamin K2 deficiency, which prevents calcium from being moved out of the bloodstream and into bone. And yes, we’re talking K2 (from pasture-raised animal foods or fermented natto) not K1 (abundant in leafy greens). Lack of protective phytonutrients in the diet, like the deep blue-purple anthocyanins. These protect the intima (interior lining) of the blood vessels against oxidative insult and damage when blood pressure is elevated. B vitamin deficits and elevate homocysteine also contribute, as the body uses folate, vitamins B12 and B6 to breakdown homocysteine so that this protein metabolite doesn’t damage blood vessels. It’s this damage that triggers the body to affix cholesterol plaques to the lining of blood vessels like a protective bandage. Many studies show that hidden systemic inflammation also plays a part in the etiology of cardiovascular disease. The protective role of fish oil is in it’s ability to balance the ratio between omega-6 and omega-3 fats and thereby offer an anti-inflammatory effect. Of note, because omega-3 fats are “fragile,” excess intake could potentially cause more damage. No knowledgeable nutritionist would consider isolated fish oil supplements to be a “Magic Bullet” adequate to optimize health and prevent heart disease, so it’s odd that research is being published with this aim. And then, when it “doesn’t work,” fish oil is being discredited? That’s sort of like hiring your car mechanic to do the SEO on your website and then exclaiming mechanics have been “debunked” when you get a poor result. A well-designed study would have each participant run a panel of lab tests first to see which of these many culprits listed above are contributing factors in their health status and then give each participant a carefully-selected cocktail of nutrients designed to target their specific underlying factors. In addition, each person’s dosing would need to be tailored based on their testing. I do agree with Dr. Gregor’s concern regarding the original paper citing fish oil as a panacea based on data from one population of people. But with over 5,000 published studies to date, pointing to one paper with a problem is not enough for us to throw away and disregard all of that research. He dismisses it as “all based on a hypothesis that was questionable.” My PubMed search today for (“fish oil” OR “omega-3”) AND (cancer OR diabetes OR heart) shows 6,467 publications. Of these, 860 are clinical trials and 253 meta-analyses. The vast majority of these studies have reported beneficial outcomes. So this is no longer just a hypothesis and the problems with the early observational data are moot. More to the point, criticizing the original researchers’ hypothesis is ridiculous. This is the entire raison d’être behind scientific research—formulate a hypothesis and then develop trials to either strengthen or disprove your hypothesis. In the medical field, there is a serious misunderstanding of nutrition and how nutrients work together to produce health outcomes. Not really surprising given that medical professionals receive little or no training in nutrition. We are seeing many nutrient studies designed as if natural agents are “drugs”—just give everyone the same dose and we’ll see if this is “effective” (e.g., if it produces a drug-like effect). The body needs many nutrients working in concert to create health. Any specific nutrient, like EPA/DHA from fish oils, would only stand to benefit only those who are deficient. In addition, a nutrient is only likely to be beneficial when given together with all the co-factors and synergistic nutrients needed to produce the desired health outcome. Here’s a helpful metaphor. Think of baking a birthday cake from scratch, perhaps with your grandma’s secret recipe that’s been handed down in your family. Pouring 2 cups of flour in a buttered pan and baking it at 350°F for 35 minutes doesn’t produce an appetizing dessert, but that doesn’t mean flour is useless and has been “debunked”! We all know you need the full-spectrum of ingredients called for in the recipe, even if like me you substitute the wheat flour with organic almond flour and choose a low-glycemic sweetener. So the next time you bump up against a Fish Tale of these sorts, remember: (a) don’t draw conclusions from a single study, and (b) not all study results will be relevant to your clinical situation. Nutritional science is a deep and complex field. 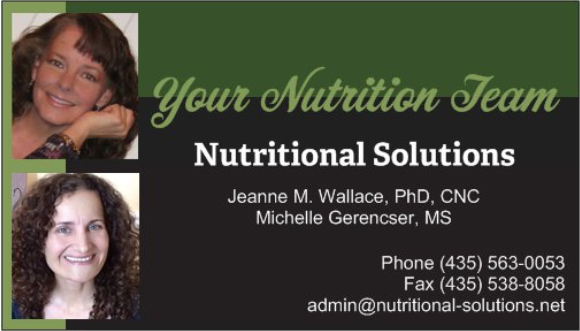 What the public and average Dr. Joe know is only a tip of the iceberg, so check in with a nutrition pro who does translational research, a naturopath, or functional medicine practitioner.